Epicinium is a multiplayer strategy game where the players' impact on the environment matters. 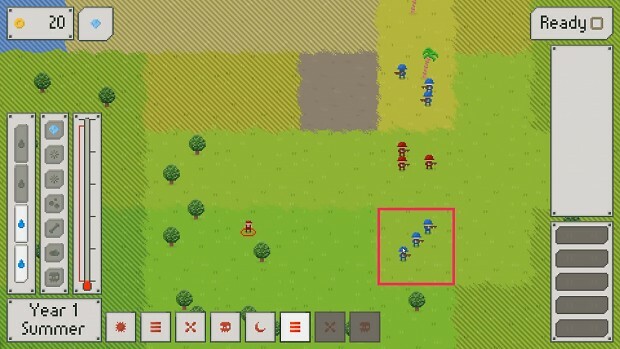 Combat destroys grass and crops, and trees are trampled as tanks drive towards your opponent to level their cities. Industry accelerates global warming to ludicrous levels, causing more destruction the longer the game goes on. At the end of the game, the winner is scored for how many grass and forest tiles still remain on the map. In this first featurette video, SLiV9 gives a brief overview of how combat works in Epicinium.